Ahimsa is a term Jains and Hindus use to denote non-violence. A man in control of his senses should cause no harm to other living organisms: not even a fly. There are approximately 6 million practitioners of Jainism worldwide. 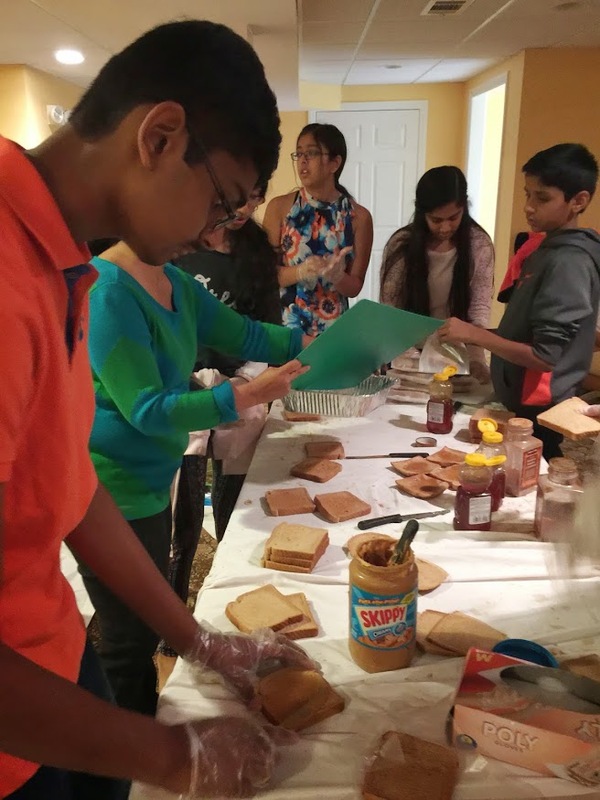 On October 11th, on a quaint suburban street in Farmingdale, NJ around noon, a party of seventeen – ten children an seven adults – busied itself with making 200 Hunger Van meals, subjecting whole wheat to peanut butter and honey, in the basement of a capacious single-family home owned by Neena and Ashok Jain who accordin g to their faith do not eat meat. The Jains officially manage the Educare Foundation, Inc.: a US based non-religious, non-profit organization operated solely by volunteers which provides scholarship programs, school facility improvements, orphanage support, qualified staff, and computer education to needy children in India. 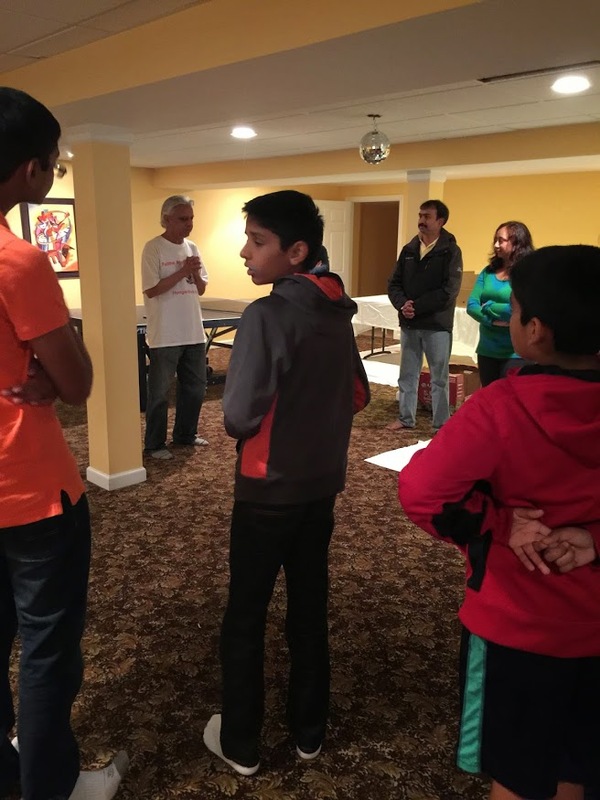 Educare also conducts a Youth Leadership Program for Middle and High School students in New Jersey. They say it’s important for young people to learn about volunteer work and the special value of charity throughout life, and that they are preparing to be adults by engaging in good work now. During food production, Zamir Hassan explains to a table of salad-making adults that he started training people in this line of work in Morisstown, NJ first then into 20 different cities, and that Hunger Van project and Faiths Against Hunger was established in 2007 . 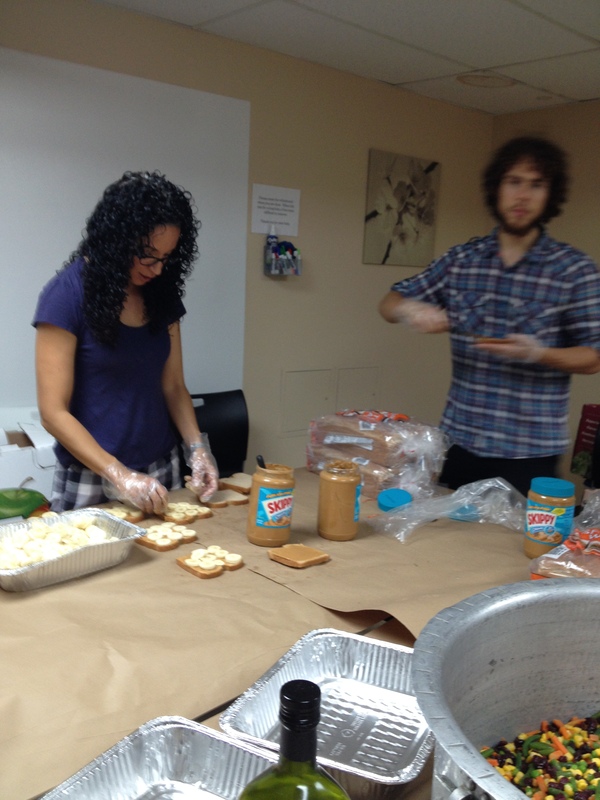 Though many of the volunteers are religious, Hunger Van events have also been hosted in conference rooms and by various professional groups. Mr. Hassan remarks that the homeless flock to stations and under bridges, and that to distribute the meals, the van should go to Newark, Jersey City, Keyport, the New Brunswick station or a nearby park. “People should stop complaining if they have enough food to eat at home and especially if they have iPhone 4,” he asserts. Three girls when asked, said it was not their first time volunteering, whereas six kids say it’s their first volunteer effort. 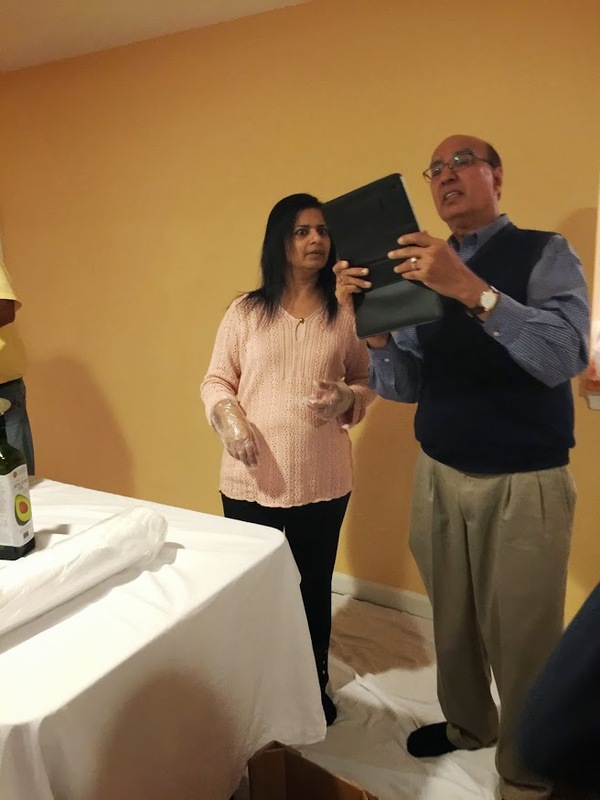 The Jain family provided a buffet-style lunch for everyone participating in the event they sponsored of vegetarian curry and rice along with other types of fare. It was excellently provided and received as the morning’s rain ceased, turning into a light drizzle. 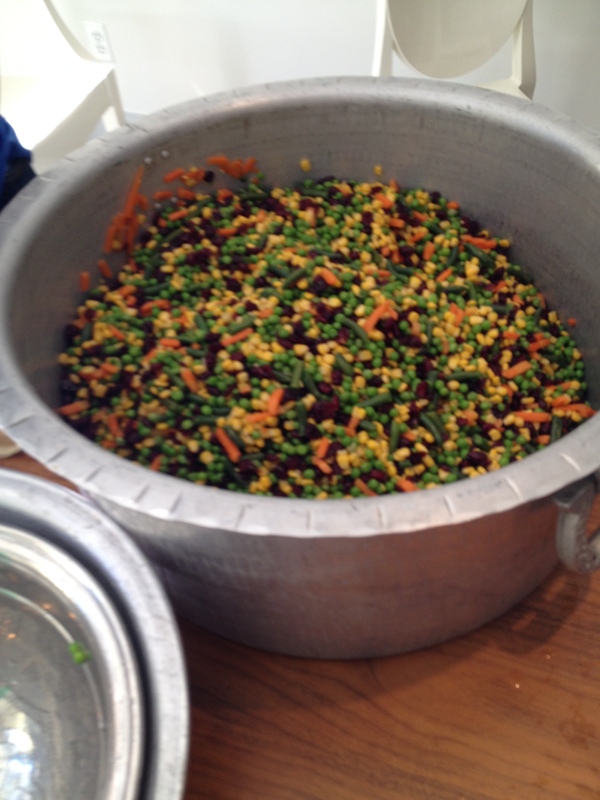 The prepared and packaged food was ultimately driven to a NJ shelter. September 28th – It was a warm autumn day uptown at Central Park North during the holy week of Yom Kippur at Kehilat Romemu: Judaism for the Mind, Body, and Spirit, which was the location of another wondrous Hunger Van event with the Heller family, Paul, a curly-haired young fellow, as organizer, and Mr. Zamir Hassan attending. 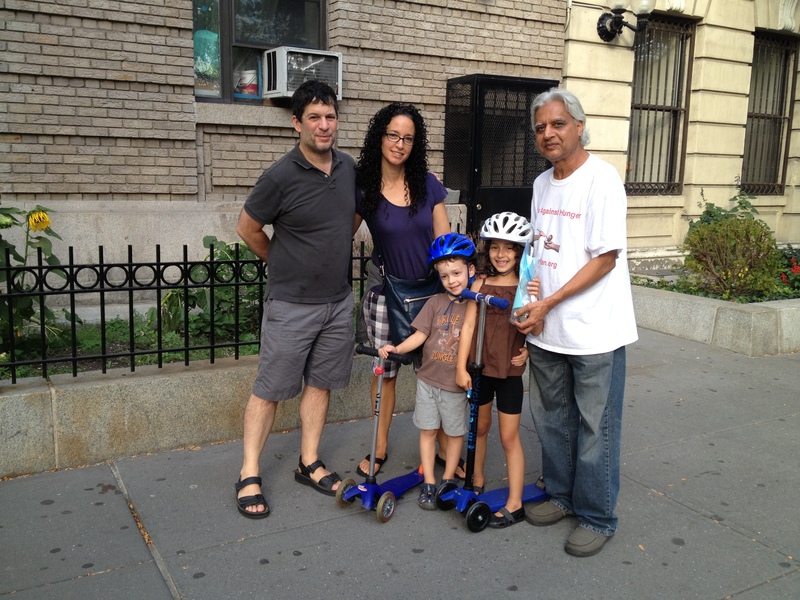 Michael, Deborah, the parents, alongside of Jonah and Ellie Heller, their children, accompanied by Paul, Zamir, and an independent blogger from Jersey in league with Hunger Van, gathered together at 2 PM, in the sublime spirit of charity, in order to turn out 150 afternoon meals of sandwiches and salad in the book-lined basement of the venerable Romemu building; and though the company was indoors, there was plenty of spiritual light and warm, familial love, which made this event so amazing. 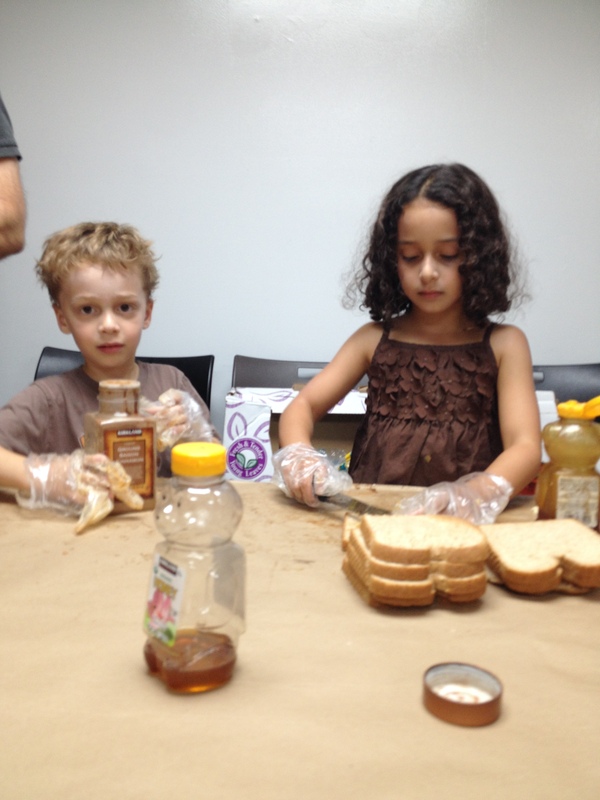 The children claimed they would always know how to replicate the “honey B” (a concoction of whole wheat bread, peanut butter, cinnamon, banana, and honey) sandwiches they were manufacturing at a table that was rather high for them. They would also be having the “honey B” themselves, and diligently had one a piece, smiling. 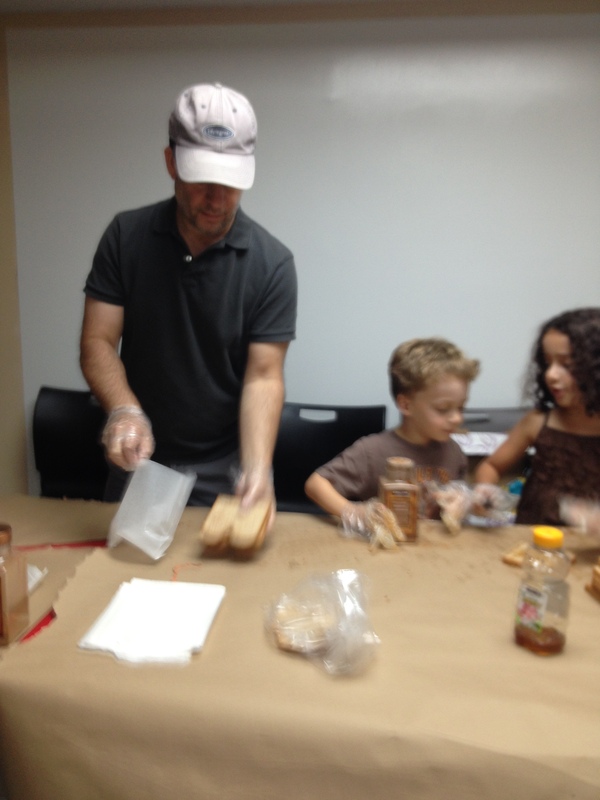 Jonah and his older sister Ellie did not stop working, though, spreading peanut butter, making syrupy honey Z’s, and sprinkling cinnamon with Mom and Dad. 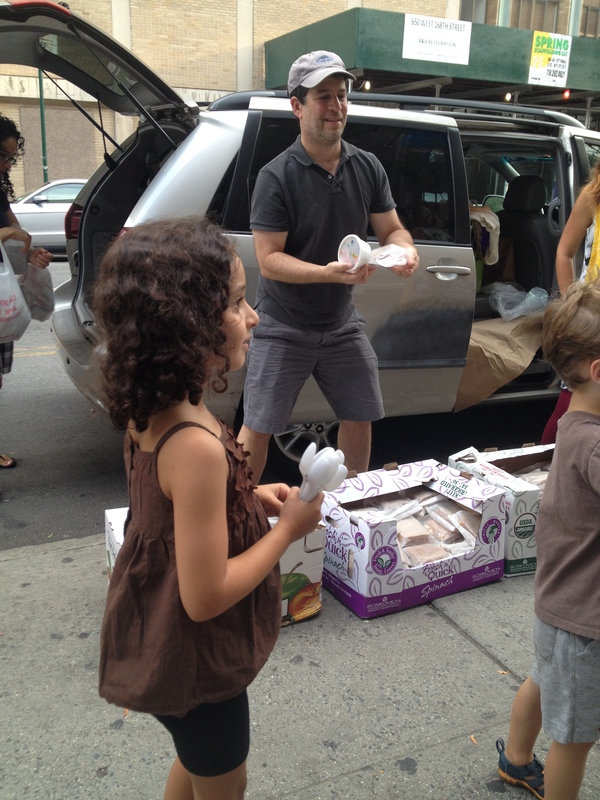 After clean up, a monetary coin donation and handwritten letter was given to Hunger Van, delivered into the hands of Zamir Hassan by Jonah Heller, a little scrivener already; then all of the food was boxed, toted to the van, transported to a homeless shelter at an Upper Westside armory across the street from New York Presbyterian, and doled out by the Heller family and Zamir Hassan, supervising. “You’re doing God’s work,” one oriental-looking shelter resident asserted, stooping down, to the kids, thanking them for handing out these special dinners. It was indeed, an evening of love, grace, and good work. What a great way to end the yearly celebration of Yom Kippur! By sunset, everyone was admitting, more people must get interested, informed, and involved in feeding the homeless projects, which give men and women beneficial freedom to counteract the oppression of hunger. Romemu (roh·meh·moo) is a progressive, fully egalitarian community committed to tikkun olam, or social action, and to service that flows from an identification with the sacredness of all life. Romemu seeks to integrate body, mind, and soul in Jewish practice. Unabashedly eclectic, They engage in body practices like yoga, infuse traditional liturgy with the energy of ecstatic chant, and ground our practice with meditation and contemplation. It is a Judaism practice that will ignite your Spirit. About THE HUNGER VAN Project Zamir Hassan, founder of Muslims Against Hunger, developed the HUNGER VAN concept over a decade ago in response to what he saw as a weakness of the soup kitchen model of feeding hungry and homeless. While an effective means of providing meals to needy populations that live in their vicinities, soup kitchens obviously cannot reach persons who live farther away and do not have access to reliable transportation. Hassan decided that, if the people could not come to the soup kitchen, the soup kitchen would come to them. Thus HUNGER VANproject was born. Because his goal was not only to feed hungry and homeless people, but also to engage their more fortunate neighbors in service and voluntarism, Hassan designed the HUNGER VAN project to be labor- and volunteer-intensive. 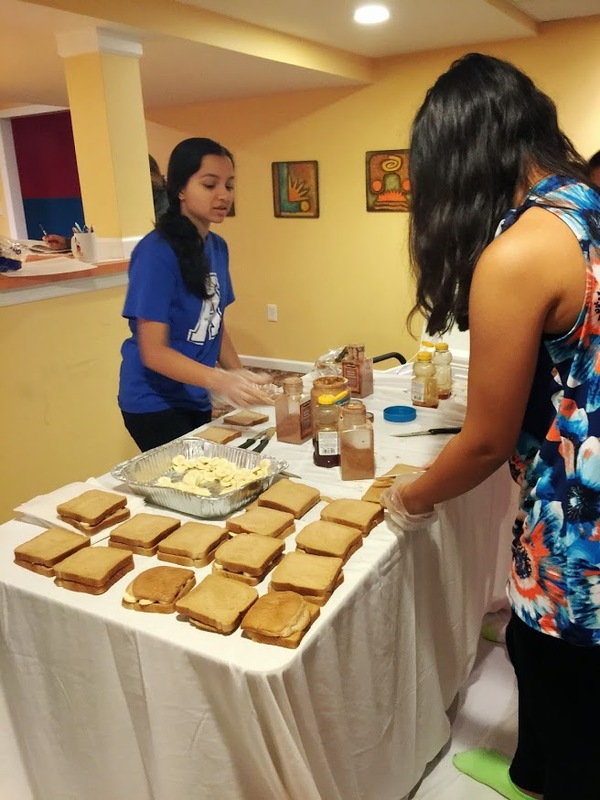 Rather than employing volunteers merely to deliver pre-packaged meals, HUNGER VAN places the responsibility for nearly all aspects of a feeding event in the hosting volunteer teams hands. HUNGER VAN staff members drive the van, and usually do the shopping (using money raised by sponsors), but once the fully-loaded HUNGER VAN arrives at a food prep location, the volunteers take over. In truth, volunteer involvement begins even before that. Part of the HV model requires that each feeding event have a sponsor. The two main responsibilities of the sponsor are to provide the funds to make, package, and deliver the meals, and to recruit volunteers to do the work. Factoring in the costs of food, gasoline, and other supplies, HUNGER VAN project has set a price of $6.07 per meal. Considering that the average feeding event provides around 100 meals, sponsors are encouraged to raise $607 per event. HUNGER VAN project encourages sponsors to pool their resources, to hold fundraisers, or to view the HUNGER VAN project feeding event as an offering of charity. HUNGER VAN project will also help subsidize a feeding event for groups that are unable to raise the necessary funds (e.g., college student groups), but they encourage each sponsor to cover as much of the cost as possible. HUNGER VAN project accepts online donations at http://www.hungervan.org, and provides an easy way for donors to pay for as many meals as they wish to prepare. 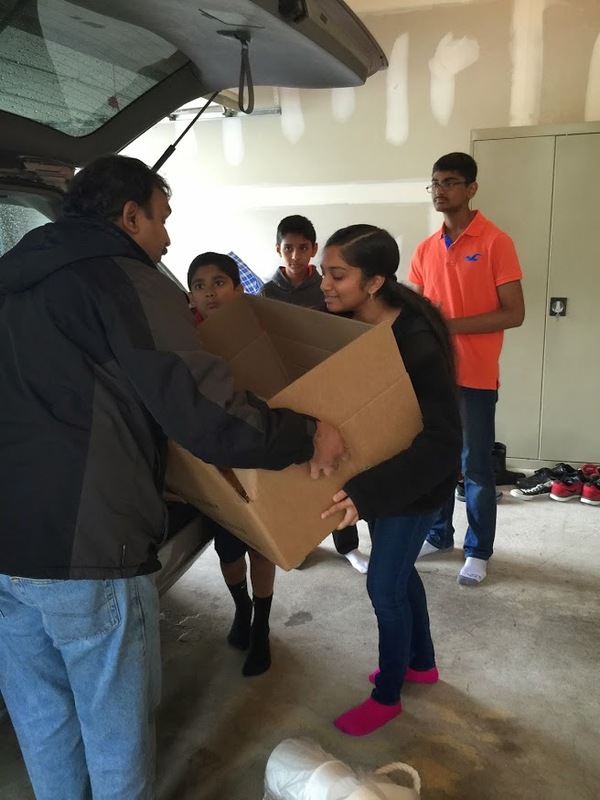 Once the funds have been provided and HUNGER VAN project has purchased the food and supplies, HUNGER VAN travels to a speciﬁed location—usually a home, a school, a community center, or a mosque or other place of worship—for food preparation. HUNGER VAN project recommends that sponsors provide 5–6 volunteers for this part of the feeding event. With that number of volunteers, it takes about two hours to prepare the meals. 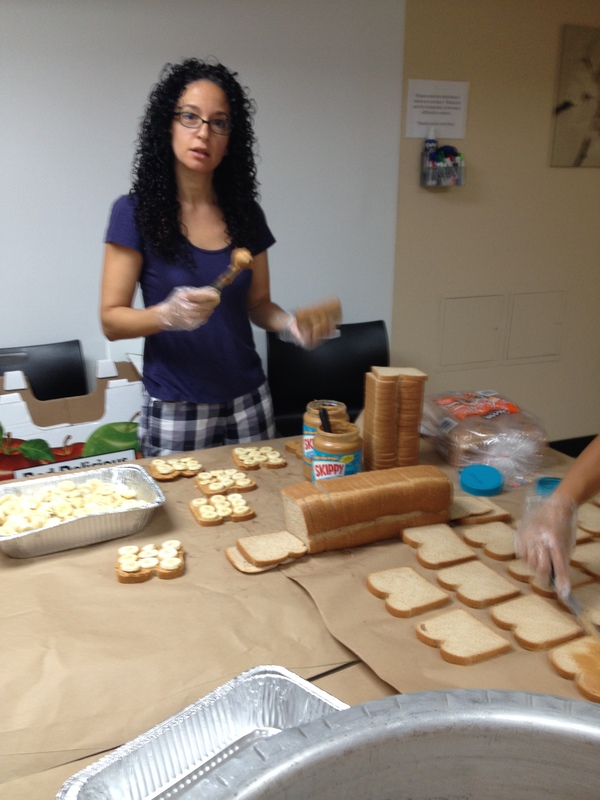 Sponsors have the option of providing a hot meal or a sandwich and salad. In either case, the meals are delicious and healthful. All menu items are vegetarian and have been created in consultation with a nutritionist to ensure their health value. HUNGER VAN project wants not only to feed hungry and homeless, but also to promote good eating habits. A hot meal usually consists of rice, vegetables, and a savory lentil or bean dish, along with bread, a banana or other serving of fruit, and water or juice. HUNGER VAN project transports the meals from the food prep location to the feeding location, where volunteers set up tables with heated serving trays. Clients are served cafeteria-style. The other meal option includes a sandwich and a salad. 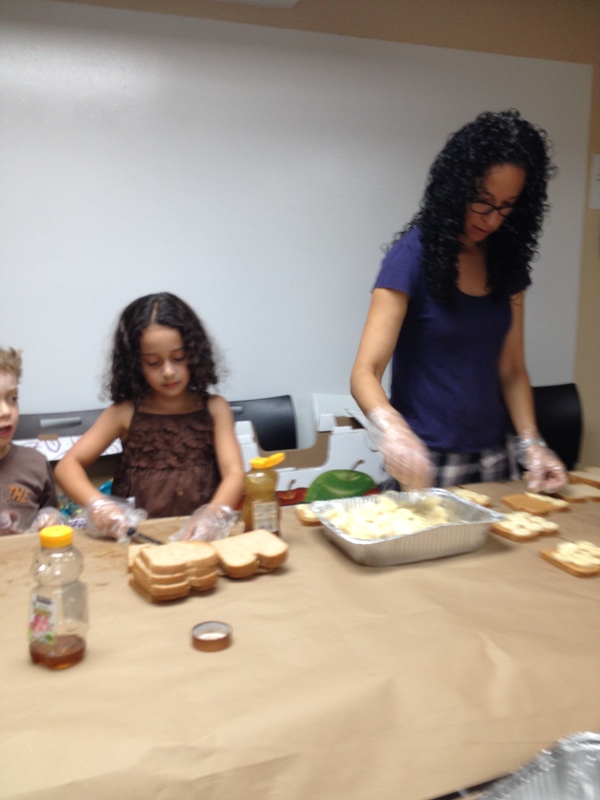 The popular “Honey-B” sandwich features peanut butter, honey, banana slices, and cinnamon on whole wheat bread. The accompanying “Chickaroo” salad is really a meal in itself. It contains chickpeas, mango or other seasonal fruit, raisins, sunﬂower seeds, lettuce, tomatoes, and olives, tossed with olive oil and a south Asian masala spice mix. Volunteers place the sandwiches in bags and ﬁll 8-ounce serving cups with the “Chickaroo” salad, and put them in individual bags along with a banana and a bottle of water. 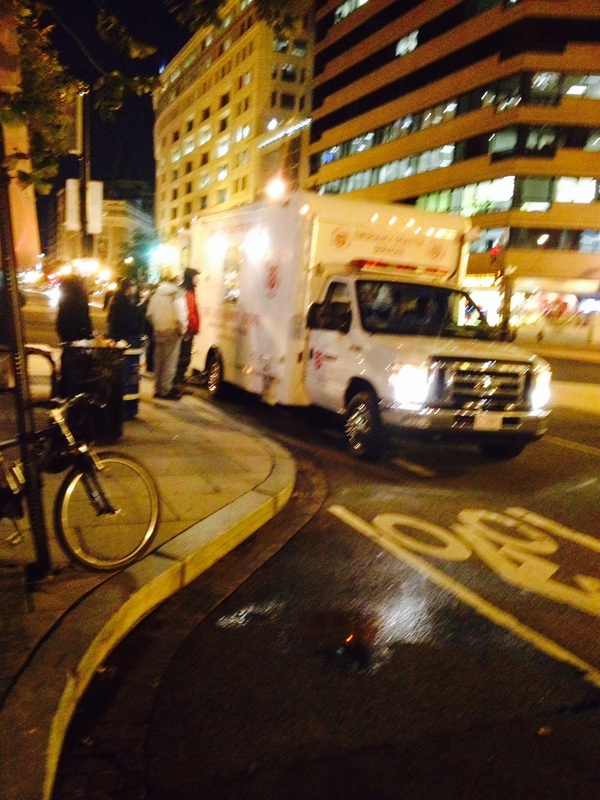 Once the food preparation is complete, volunteers clean up the preparation area, re-load the HUNGER VAN, and then travel to a location where hungry and homeless people congregate but that is not serviced by a nearby soup kitchen. There they set up their tables and serve or hand out the meals. In some locations, HUNGER VAN volunteers have become such a consistent presence that the guests arrive and begin lining up well before Hunger Van even gets there. Once the feeding event has concluded, the volunteers clean up and return all supplies and leftover food (if any) to the HUNGER VAN and Hunger Van returns home to prepare for the next hunger run. 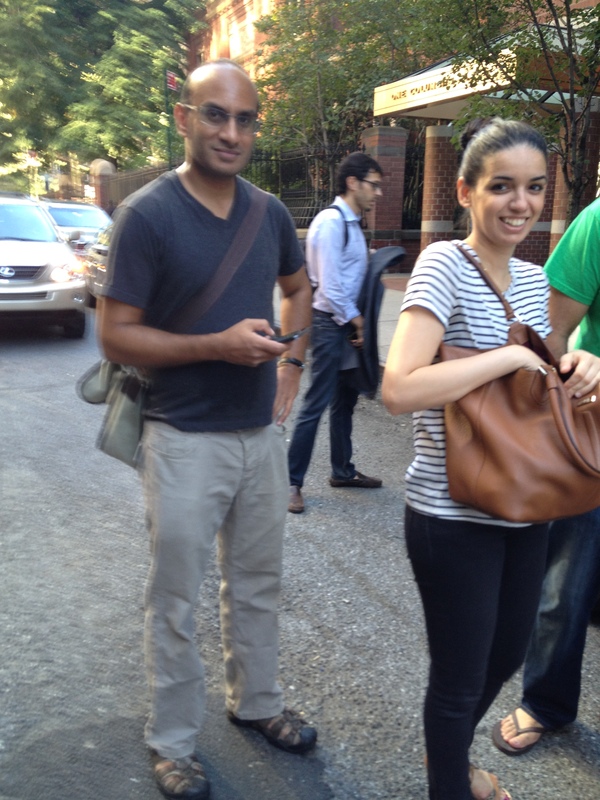 On September 27th, a beautiful day, dedicated members of the Muslim Bar Association of New York aka MUBANY, all young women and men actively working in the field of law, gathered in a brilliantly clean and spacious condominium a participating member’s friend had offered for afternoon use, a block away from Columbus Circle at 59th to don gloves, bring out chopping utensils, and turn out 250 meals for the homeless. Rather than hang out at the local bar to split drinks while talking of finance, haircuts, or which movie celebrities were arrested DUI, these strongly motivated, philanthropic individuals each took off approximately two hours from their daily agenda to feed the hungry and homeless. 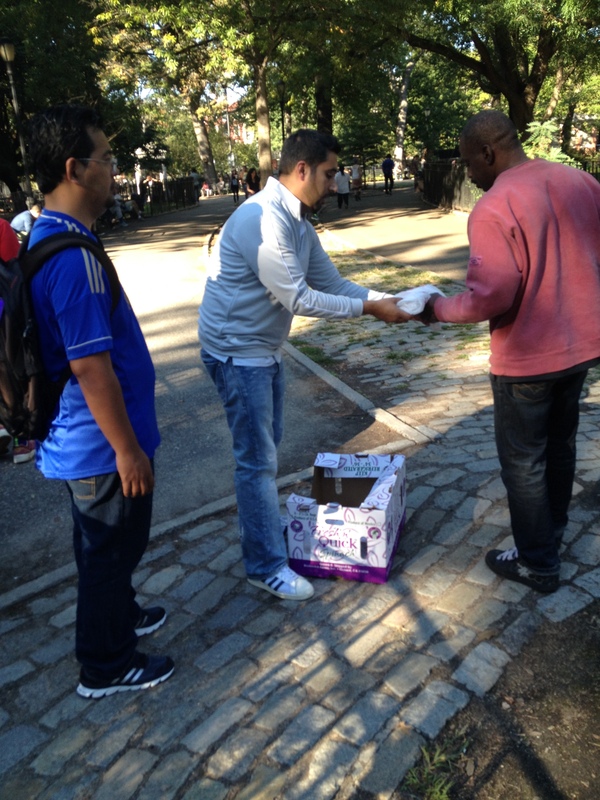 Zamir Hassan, who orchestrates many Muslims Against Hunger, Faiths Against Hunger, and Hunger Van projects “nine days a week,” he enjoys saying, supervised one smooth and speedy operation, so that by the end of the day, various indigent persons at Tompkins Square Park on lower east side of NYC and a busy NJ shelter located near Holland Tunnel found themselves honored by the gift of the donation. 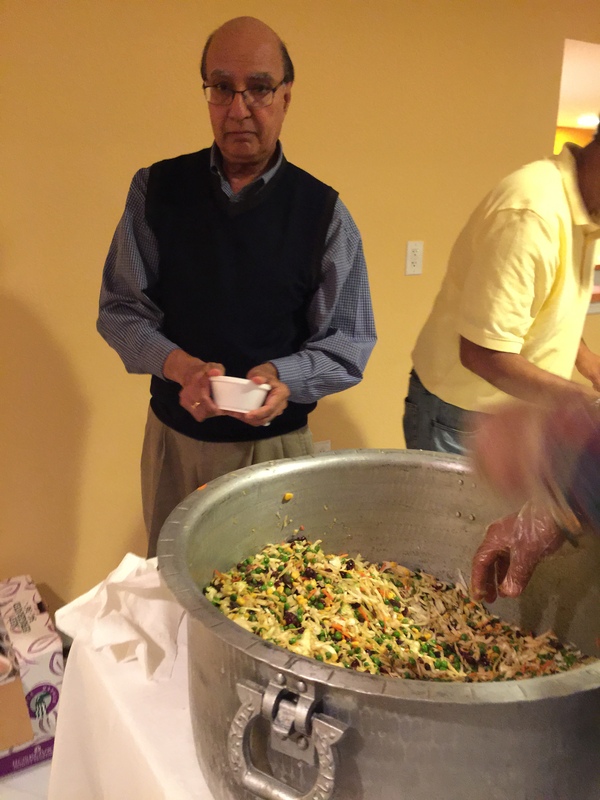 Mr. Hassan generally blogs about and uploads pictures for the events he makes possible by transporting ingredients, utensils, Styrofoam containers, and people eager to benefit the homeless. 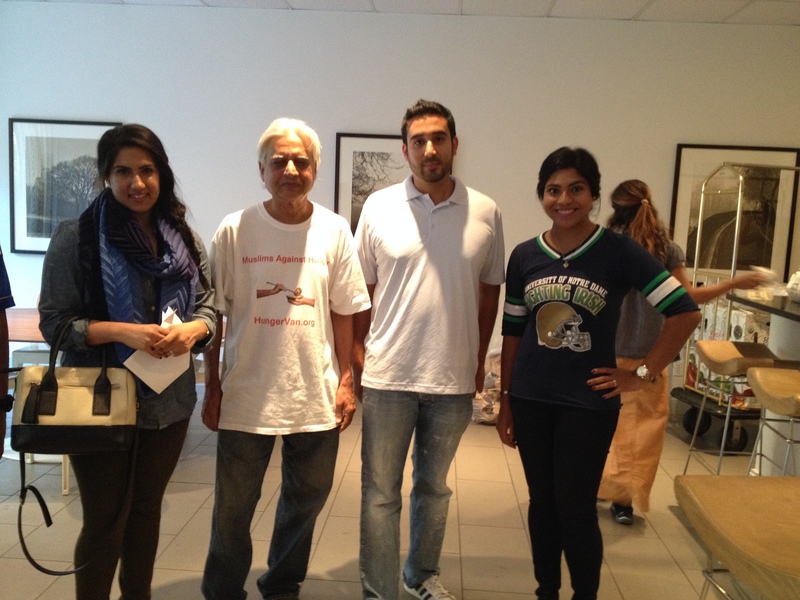 Atif Rehman, practicing attorney and President of MUBANY, in collaboration with Zamir Hassan, a Hunger Van project veteran, saw to it the congregated professionals all took part in assembling salads and sandwiches in the spirit of charity. 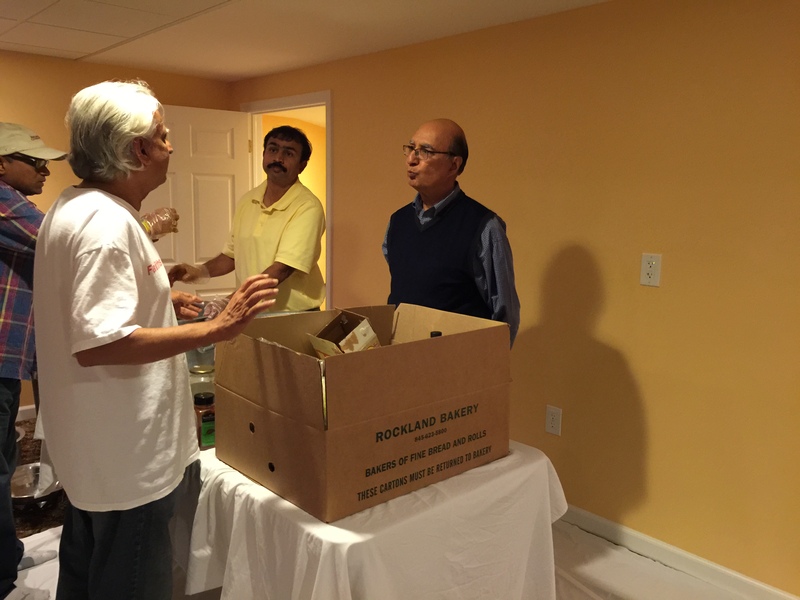 “It’s not only about food but engaging people to do good work,” Mr. Hassan stated at the outset of Hunger Van’s “feeding the homeless” event. The Hunger Van project, based in New Jersey, the mobile kitchens of which are quickly spreading nationwide, maintains that its goal is to bring food to where the need is and not necessarily where the resource is. Muslims are traditionally instructed by the Quran to be charitable; and the MUBANY group learned, standing around the kitchen counter, anticipating pizza for lunch while waiting to delve into the drive ingredients, the definition of hunger, which is not knowning where one’s next meal is going to be; the number of homeless people in the United States, or 49 million; and the Muslim proverb from Mr. Hassan’s life bio, a person should not go to bed if his neighbor is hungry. Hunger Van’s vegan menu typically consists of what are called “Honey B Sandwiches”: slices of packaged whole wheat Pullman bread, peanut butter, bananas, honey, and cinnamon; and “Chickaroo Salads”: lettuce, chickpeas, olives, carrots, avocado oil, sunflower seeds, and cranberries. Individual bananas are also doled out. Vegan fare is considered to be by the non-profit’s founder to be more healthy for humans in need and totally in the spirit of non-violence. Among the volunteers participating in the afternoon’s toil starting at noon were: Atif Rehman – President MuBANY, Wiam Riyad, Afsaan Saleem, Zulkifli Hasan, Umair Khan, Youssef Jammou, Mehdi Bali, Sayeda Abbas, Sania Khan, Narmeen Khan, Sabila Khan, Simi Mir, Zarina Syed, Stacia Ward, Madiha Zuberi. 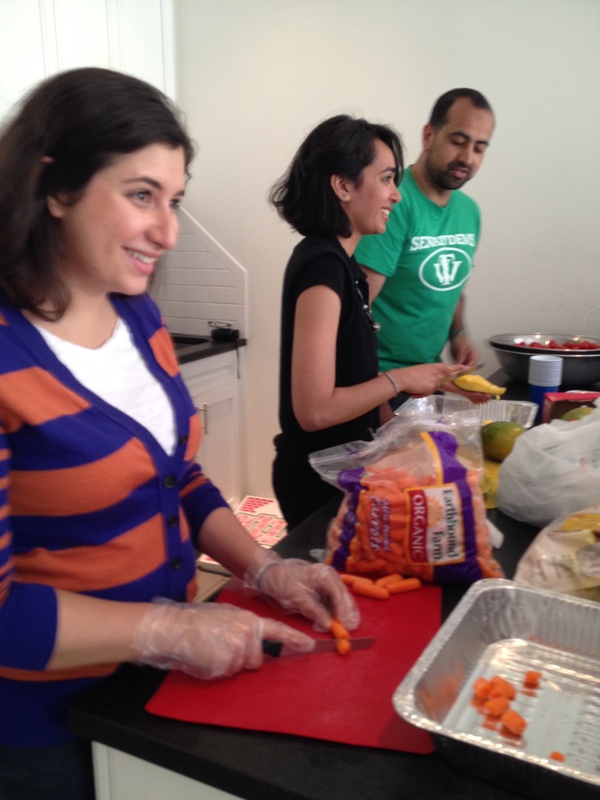 All of volunteers deserve to be congratulated for putting together a delicious meal for New York metro area’s hungry and homeless within two to three hours – one of the generous maneuvers of MuBANY – after which all of the above-mentioned Volunteers took it upon themselves to distribute with Hunger Van and Mr. Hassan the fresh vegan fare at Tompkins Square Park in downtown Manhattan. The supper’s remainder was conducted by the latter to a large stone New Jersey shelter where 200 homeless always eagerly accept food donations. MuBany – is a member-based professional association serving the educational, professional, and social needs of Muslim legal professionals & law students living and working in the New York metropolitan area. We are one of the nation’s largest and most active professional associations for Muslim lawyers and we provide a range of programs, events and services for the legal community and the larger Muslim community. Click through MuBANY website to learn more about upcoming educational events, networking opportunities, and community service projects. About THE HUNGER VAN Project Zamir Hassan, founder of Muslims Against Hunger, developed the HUNGER VAN concept over a decade ago in response to what he saw as a weakness of the soup kitchen model of feeding hungry and homeless. While an effective means of providing meals to needy populations that live in their vicinities, soup kitchens obviously cannot reach persons who live farther away and do not have access to reliable transportation. Hassan decided that, if the people could not come to the soup kitchen, the soup kitchen would come to them. Thus HUNGER VAN project was born. Because his goal was not only to feed hungry and homeless people, but also to engage their more fortunate neighbors in service and voluntarism, Hassan designed the HUNGER VAN project to be labor- and volunteer-intensive. Rather than employing volunteers merely to deliver pre-packaged meals, HUNGER VAN places the responsibility for nearly all aspects of a feeding event in the hosting volunteer teams hands. HUNGER VAN staff members drive the van, and usually do the shopping (using money raised by sponsors), but once the fully-loaded HUNGER VAN arrives at a food prep location, the volunteers take over. In truth, volunteer involvement begins even before that. 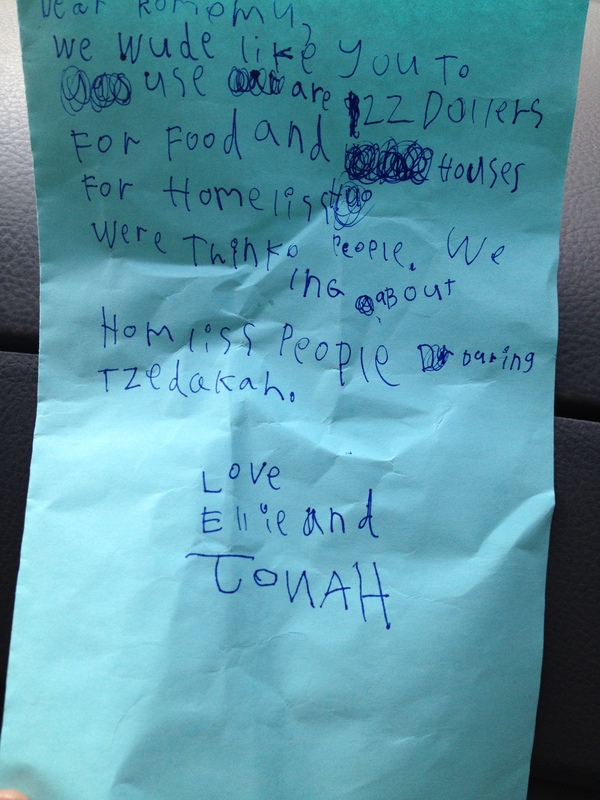 Part of the HV model requires that each feeding event have a sponsor. The two main responsibilities of the sponsor are to provide the funds to make, package, and deliver the meals, and to recruit volunteers to do the work. Factoring in the costs of food, gasoline, and other supplies, HUNGER VAN project has set a price of $6.07 per meal. Considering that the average feeding event provides around 100 meals, sponsors are encouraged to raise $607 per event. HUNGER VAN project encourages sponsors to pool their resources, to hold fundraisers, or to view the HUNGER VAN project feeding event as an offering of charity. HUNGER VAN project will also help subsidize a feeding event for groups that are unable to raise the necessary funds (e.g., college student groups), but they encourage each sponsor to cover as much of the cost as possible. HUNGER VAN project accepts online donations at http://www.hungervan.org, and provides an easy way for donors to pay for as many meals as they wish to prepare. 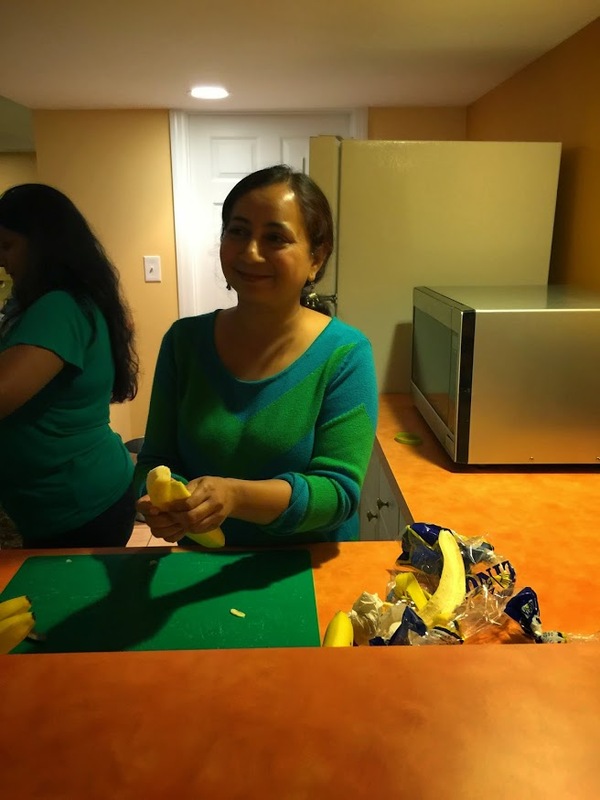 Once the funds have been provided and HUNGER VAN project has purchased the food and supplies, HUNGER VAN travels to a speciﬁed location—usually a home, a school, a community center, or a mosque or other place of worship—for food preparation. HUNGER VAN project recommends that sponsors provide 5–6 volunteers for this part of the feeding event. With that number of volunteers, it takes about two hours to prepare the meals. Sponsors have the option of providing a hot meal or a sandwich and salad. In either case, the meals are delicious and healthful. All menu items are vegetarian and have been created in consultation with a nutritionist to ensure their health value. 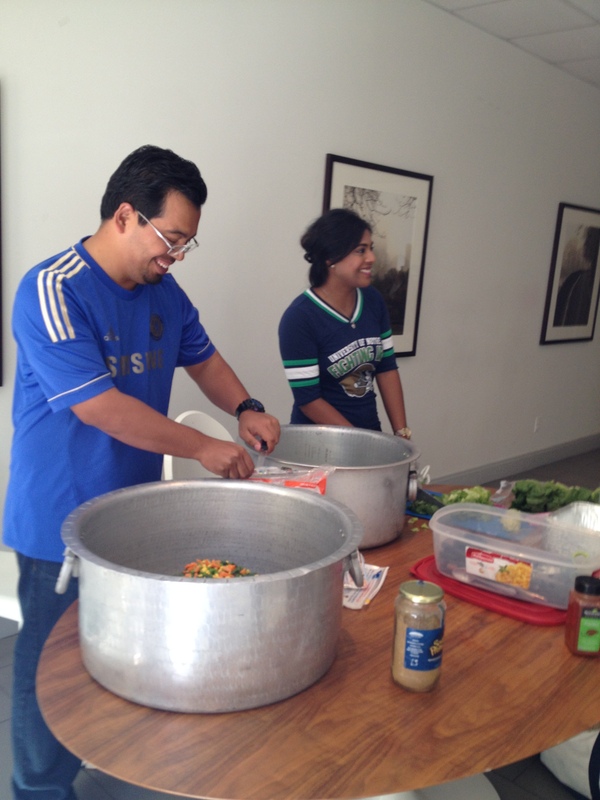 HUNGER VAN project wants not only to feed hungry and homeless, but also to promote good eating habits. A hot meal usually consists of rice, vegetables, and a savory lentil or bean dish, along with bread, a banana or other serving of fruit, and water or juice. HUNGER VAN project transports the meals from the food prep location to the feeding location, where volunteers set up tables with heated serving trays. Clients are served cafeteria-style. The other meal option includes a sandwich and a salad. 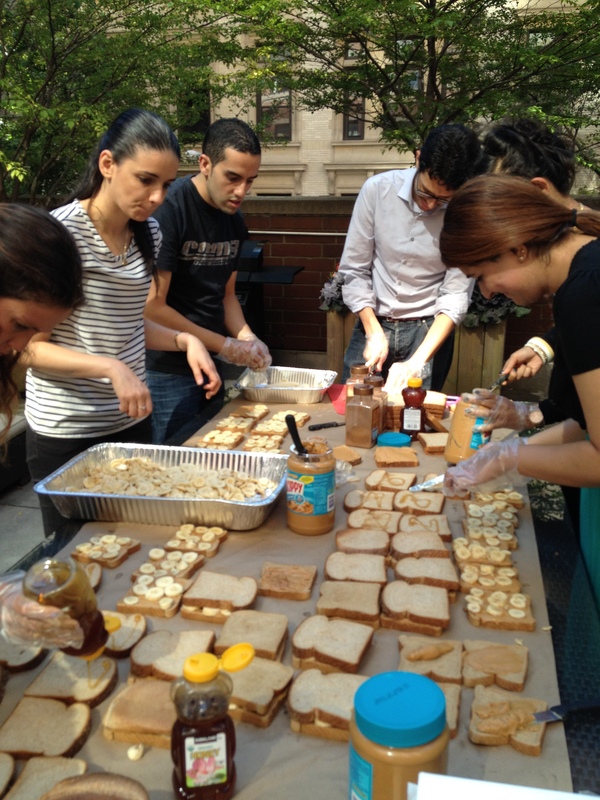 The popular “Honey-B” sandwich features peanut butter, honey, banana slices, and cinnamon on whole wheat bread. The accompanying “Chickaroo” salad is really a meal in itself. It contains chickpeas, mango or other seasonal fruit, raisins, sunﬂower seeds, lettuce, tomatoes, and olives, tossed with olive oil and a south Asian masala spice mix. Volunteers place the sandwiches in bags and ﬁll 8-ounce serving cups with the “Chickaroo” salad, and put them in individual bags along with a banana and a bottle of water. Once the food preparation is complete, volunteers clean up the preparation area, re-load the HUNGER VAN, and then travel to a location where hungry and homeless people congregate but that is not serviced by a nearby soup kitchen. There they set up their tables and serve or hand out the meals. In some locations, HUNGER VAN volunteers have become such a consistent presence that the guests arrive and begin lining up well before HV even gets there. Once the feeding event has concluded, the volunteers clean up and return all supplies and leftover food (if any) to the HUNGER VAN and HV returns home to prepare for the next hunger run.